Get ready to feast eyes on this! 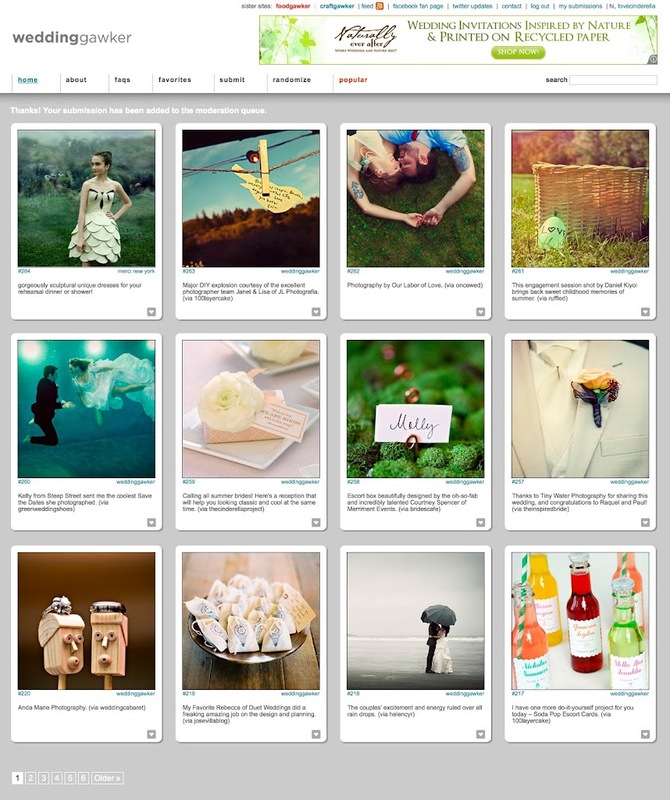 From the minds behind the beloved foodie website food gawker, wedding gawker is a fabulous online scrapbook featuring dazzling inspiration from sites such as yours truly, Merci New York, Style Me Pretty, 100 Layer Cake, Once Wed and more. Take a peek - you are just one click away from hours of wedding enjoyment!